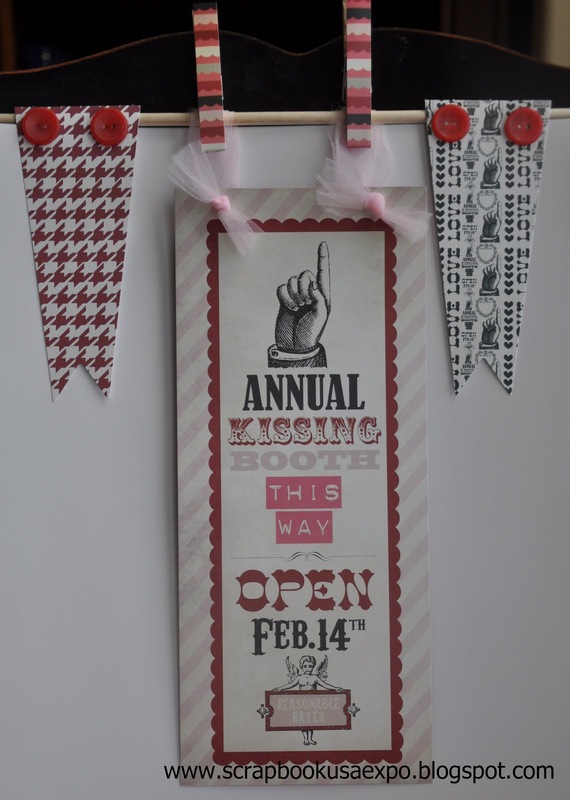 Time again for a project for Scrapbook USA Expo, and this month I get to play with the lovely Kissing Booth collection for Basic Grey. 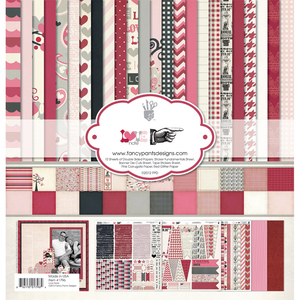 This collection has a lovely eclectic range of papers that would be great for any Valentine's project, or anything romantic or girly. Last year my wonderful hubby and I celebrated our tenth anniversary and had new family pictures taken in the same spot where we'd done our engagement pictures. I was inspired by a similar layout I saw in the most recent issue of Creating Keepsakes and started with our engagement picture, then added a small picture from each year of our marriage, and ended with our most recent picture. 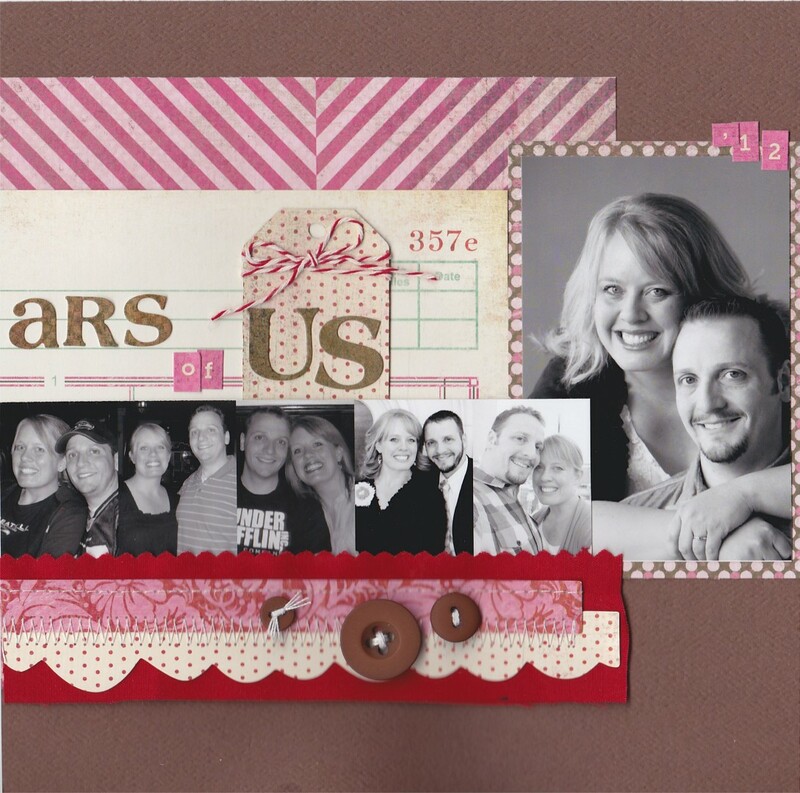 For this layout I loved the effect of the layered, stitched border strip with buttons, which came pre-made with the collection. How handy is that?! I also used the letter and number stickers for the title and to label the first and last pictures. 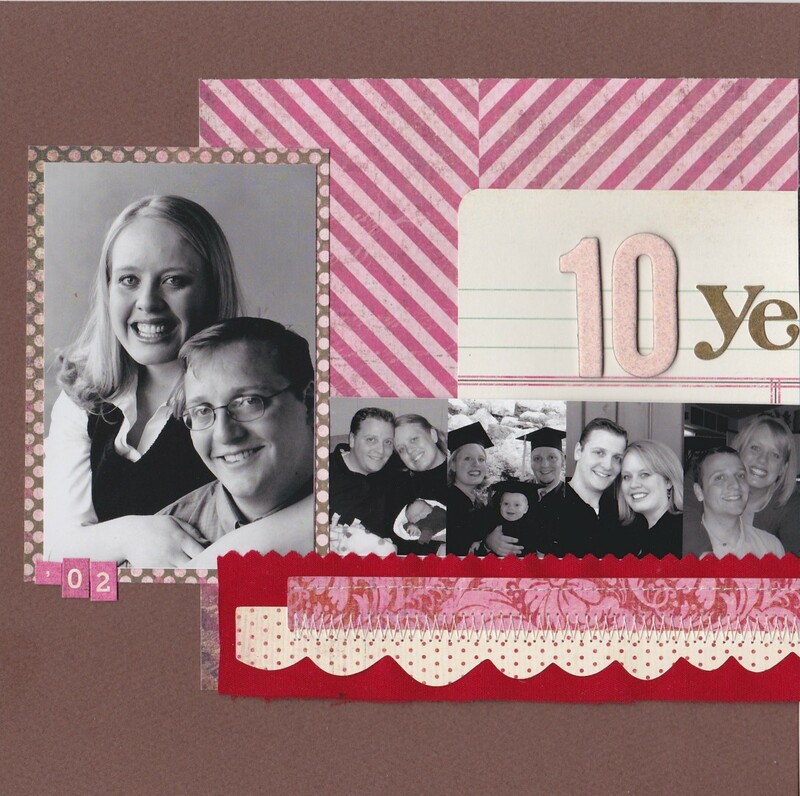 Valentine's is such a fantastic time to celebrate the loving relationships in our lives -- what better way than with a layout chronicling your journey together? 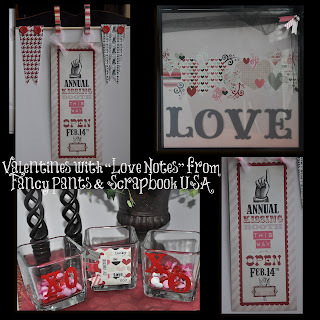 "A Note of Love" by Fancy Pants + Giveaway! 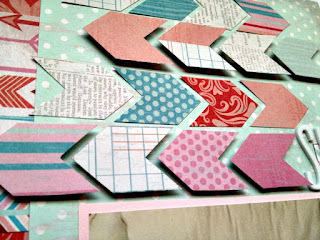 There is nothing more fun than hunkering down in my craft room with just me and a super cute paper collection. I really outta do it more often! Well, recently I found some time and I spent an evening with Fancy Pants new Valentines collection "A Note of Love" and I gotta say, I love the results! The projects were specifically done for my 1st segment on "My Craft Channel" (airing February 11th!!!). I really wanted to focus on Decor that you can start and finish in a reasonable amount of time without using much more than the paper collection and items you already have at home. The Fancy Pants collection practically did the work for me thanks to all the fun designs. I really loved the variety of paper, stickers and punch-outs that were included. In addition to the double sided cardstock it also included a sheet of pink corrugated cardsotck and a sheet of red glitter paper which were really fun additions. 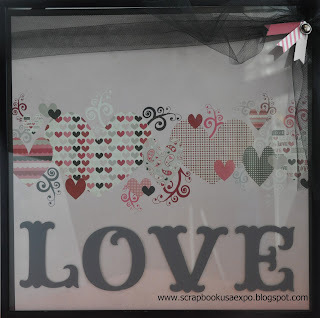 This cookie cutter wall hanging is so much fun! There is just SO much you could do with some cookie cutters and cute paper! I used some embellishment glue to adhere the paper to the cookie cutters. Make sure you use the thick side of the cutter as the back. It is a bit thicker and gives you a little more for the paper to adhere to. I ran ribbon down the back and used a hot glue gun for that. The back doesn't look too great so I tacked mine to my door so it doesn't move around. You could do a backing piece so that the back side looked nice as well. I used a metal ring from an office supply store for the top with some tulle wrapped around the edges. Hurry and get your cookie cutters. I bought a set of 5 at Walmart and 2 more individually at Hobby Lobby. They were already picked over a bit. I have a bunch of "staple" items that I keep on my shelves and then I change them out for different holidays. 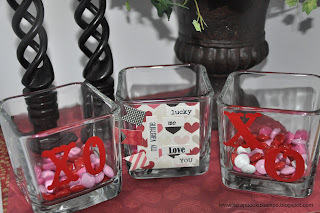 I use these candy/candle dishes quite a bit and just switch out the vinyl and embellishments. My kids love them too, since candy appears in them every so often. 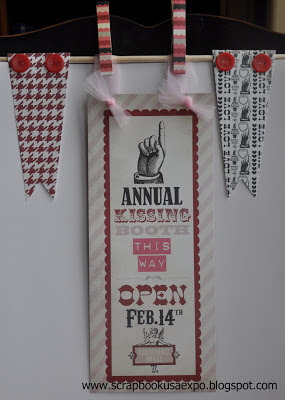 This "kissing booth" page was the first thing that drew me into the "Love Notes" collection. It is SO cute! Actually it is part of a 12X12 sheet of paper. 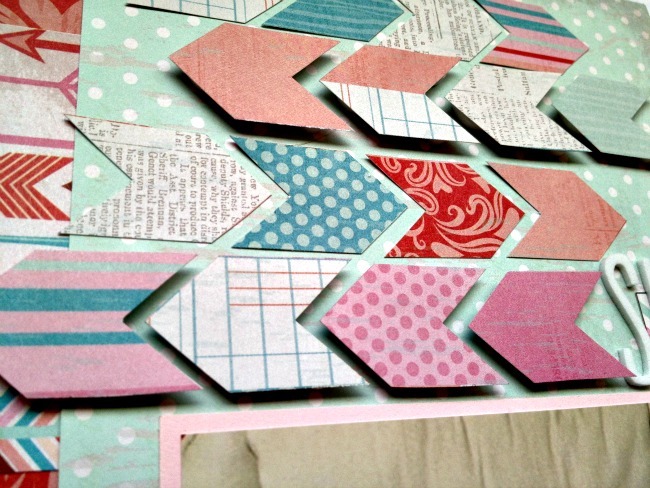 The paper would be super cute in a layout but I cut it out instead and made this banner. My 8 year old smiles every time she sees it! The 2 small banner's were punch outs in the collection and I used a sticker strip to cover the clothes pins. This 12X12 frame from Ikea is another one of my family room staples. I change it out for each holiday. If I don't have holiday decor on display I like to use a recent layout from a vaction or family photo. The best part of this is that the grey vinyl is on the outside of the glass so the paper is still good as new and I can use it in my album after the holiday. If you are interested in "A Note Of Love" for yourself - Fancy Pants is generously supplying one of our lucky fans with the complete collection. Enter below AND Good Luck!! Also, mark your calendars- my first segment on "My Craft Channel" will be February 11th. I will be highlighting these projects!! Once I got home from CHA and back to the normal race of life I totally forgot I have a few more CHA photos that I really want to share. I saw so many fun things at CHA this year. I am really excited for up and coming product that we will be seeing on store shelves pretty soon! Graphic 45: I love their spring colors! My favorite thing about G45 is that I know which booth is their's as soon as I see it. They have a style all their own and they are always true to it! Graphic 45: Their booth was full of darling and creative ways to use paper. Imaginisce: I just became a dog owner a few months ago and I can't wait to put together my first layouts of our dog Lucy withi this cute paper. I LOVE the colors! My Mind's Eye: I already shared some MME product in my previous posts but I couldn't resist another peek at the fun colors in their upcoming lines. Watch for my segments on My Craft Channel. 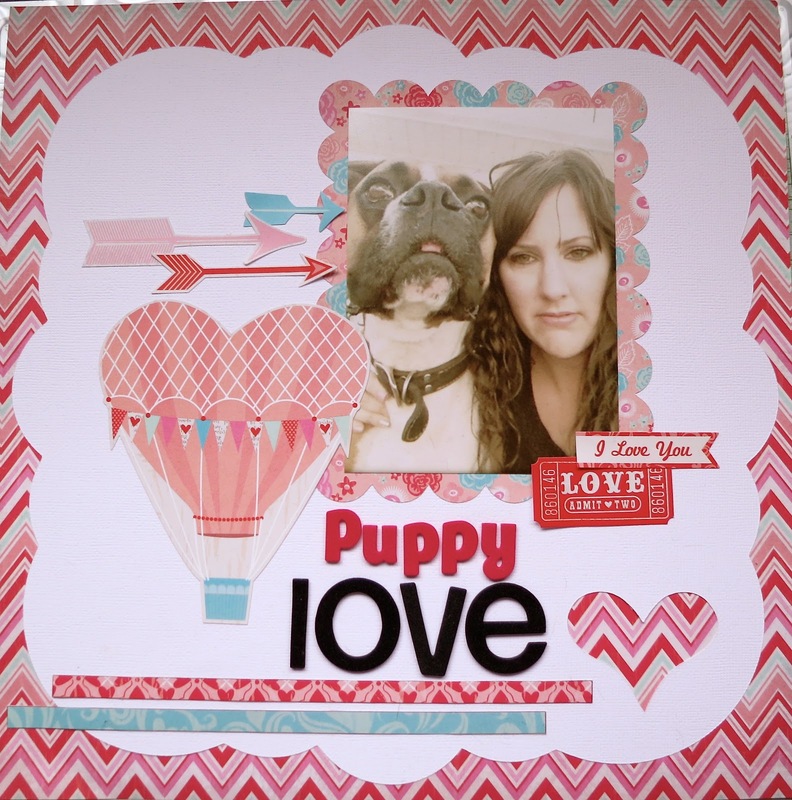 I have some fun cards I will be demonstrating using this new MME product. They turned out super cute! DCWV: Our friends at DCWV did not disappoint! They always have the most darling displays with unique paper folds. Love these shades of green, pink and blue together! DCWV: I am sure everyone has already seen the DCWV elephant! This purple beauty had her picture taken hundreds of times I am sure. She is made of paper (of course) and is just pure awesomeness! 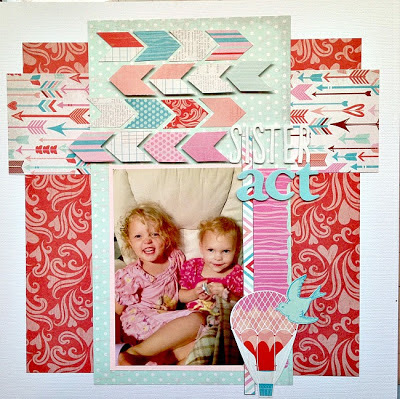 DCWV: Cute layout! I love the elegant style and the flowers are so pretty! Just before heading out on the last day I hooked up with Kristine McKay from My Craft Channel for a few minutes. 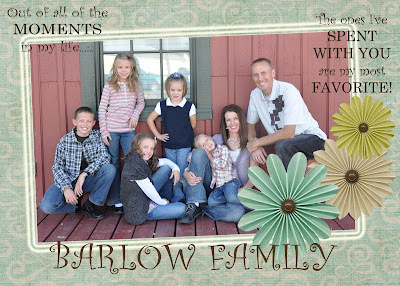 I am SO excited to have them at Scrapbook USA this March! We talked about a few of the plans she has in the works for the show and I know their booth is going to be lot's of fun! ﻿ There you have it, my final photos from CHA! It was s super fun week getting a first look at what is new in the crafting and paper crafting world! Our vendors had fantastic booths and all of them have some fantastic product heading into stores in the coming months. Make sure to be at Scrapbook USA Expo coming March 22-23, 2013 and pick up all your crafting supplies. See you soon! Let's Talk Valentine's Day with MME! 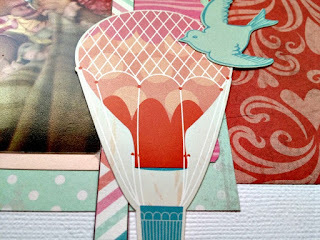 I love the blues mixed in the the pinks and reds, and the hot air balloons are just the cutest!! Chevrons and arrows are really popular right now. These I fussy cut from a paper that came in the 6x6 pad for this collection. They were perfect. I arranged them in 4 rows, and popped up every other row with foam dots to give a little definition, and make them stand out more. The collection also includes a darling sticker sheet that has not 1, but 3 different hot air balloon stickers. I love them all! I added one for a little extra embellishement. 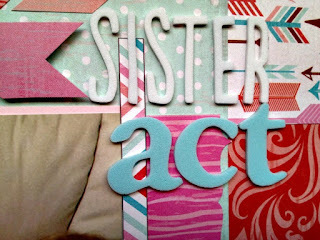 Lastly I just added some fun foam letter stickers for my title and I was finished! It was really easy to pull it all together with all the great products from My Mind's Eye! Thanks for stopping by today! Lights, Camera, Action! The time has finally come for some really exciting news! I am pleased to welcome My Craft Channel to our March 2013 show! 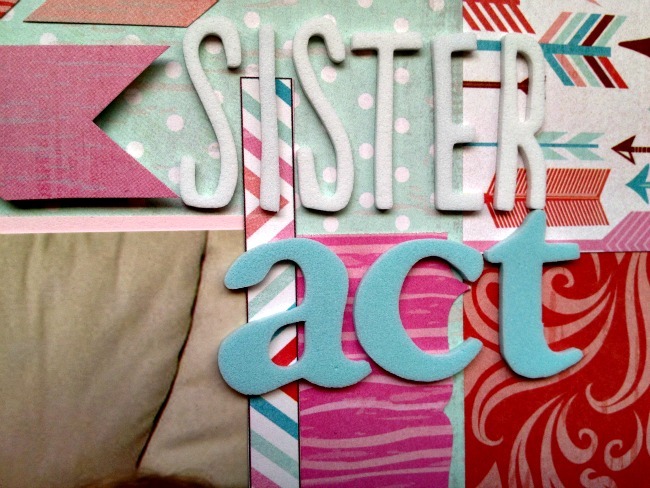 I am really excited to work with the ladies from My Craft Channel and I know you are all going to LOVE what they are bringing to our March show! My Craft Channel will be hosting the center area at the show and you won’t want to miss their booth! They will have new make-n-takes every hour, great product on sale, celebrity guests, prizes, giveaways and opportunities to participate in My Craft Channel segments for a few really lucky Scrapbook USA Expo attendees! Keep a look out because their cameras will be rolling at Scrapbook USA! Did I mention Celebrity guests? You will want to visit their booth more than once because they will have some fun visitors including (but not limited to) Beth Kingston from Xyron, Teresa Collins, Lori from "Inspired by Pinterest" with Lori Allred on My Craft Channel plus a few more names that I can’t share quite yet. Stop by, meet, mingle, take photos and have some fun with some of the top names in the industry! If you haven’t tuned into My Craft Channel yet, you are going to want to pop on over! My Craft Channel really is where the action is! My Craft Channel is the first-of-its-kind online craft TV network that features top craft celebrities from across the country. Imagine a community where you can gather inspiration, education, ideas and reviews of the latest products all in one place through HD quality broadcasting. My Craft Channel is not just limited to Scrapbooking. They cover a number of different categories in the crafting industry from sewing to digital to paper crafting. Yesterday I spent the morning at My Craft Channel’s studio filming the first of a series of segments that will be airing on My Craft Channel over the next few weeks. YUP! Yours truly will be sharing some fun craft ideas straight from my home to yours! Best part is that I am demonstrating brand new product from a few of our March vendors. The segments I filmed yesterday included product from Fancy Pants, My Mind’s Eye and Basic Grey. I focused in on kids crafts, Valentines Décor, Gift card gifting ideas and card folding. Here I am showcasing a homemade snow globe using a mason jar. I included this cute idea in my kid crafts segment as well as in my gift card segment. The first segment I filmed was Valentine’s Home Décor. I used “Love Notes” from Fancy Pants. I had SO much fun with this product. I will be sharing more details on these projects next week. 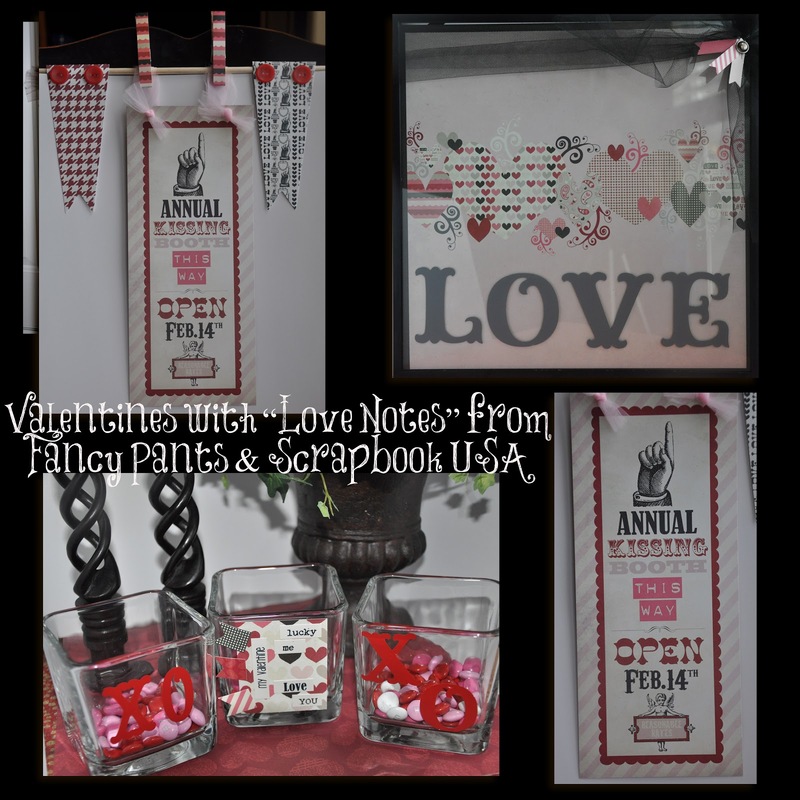 Until then if you are starting a Valentine’s project get your hands on “Love Notes” from Fancy Pants. It is a darling collection! The My Craft Channel studio was a lot of fun! Their crew was super helpful and I am so excited to see the finished product (a few edits will be necessary!) 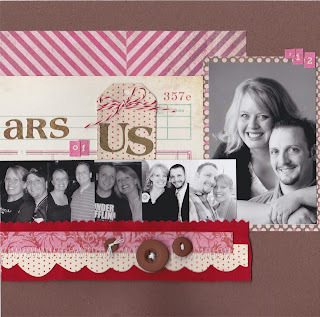 The Scrapbook USA Expo segments should begin airing next week! To help celebrate My Craft Channel and Scrapbook USA Expo, let’s start the weekend off with a giveaway!! My Craft Channel is generously offering a fantastic prize! One lucky winner will win a “He Said, She Said” Bundle from Teresa Collins Designs! This brand new collection has just been released and is sure to be a favorite! Good Luck! and Happy Weekend! Back again with another card for ScrapbookUSA Expo, using the delicious Kissing Booth collection from Basic Grey. This collection has a lovely eclectic style. 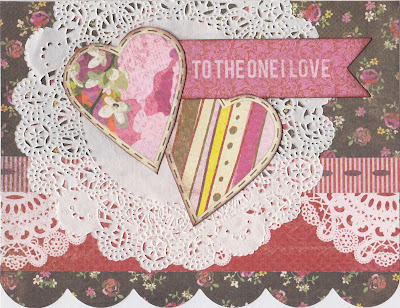 I used a pre-die-cut scallop-edged card, then added the doily and stitched ribbon border strips. The paper doily went so nicely with this collection, and then trimmed a couple of hearts from one of the sheets of patterned paper. The flag is one of the great stickers from the collection. Thank goodness for Valentine's Day -- just the thing to warm up the cold wintertime! I Am Now A Digital Scrapper! I have had Photoshop for I don't know how many years and every time I would think about opening it I would start getting stressed and agitated. I don't know why the mental block but I decided a few months ago that I was going to conquer that mountain! Thanks SO much to Lynette and Digi Night Out. I met Lynette at Scrapbook USA in September and decided to attend her Digi Night Out event in Sandy last December. After only a few short hours of instruction from Lynette, Gennifer Bursett and Suzy Iverson, I am now on my way!! Currently, I am working on an album for our recent trip to Disneyland. 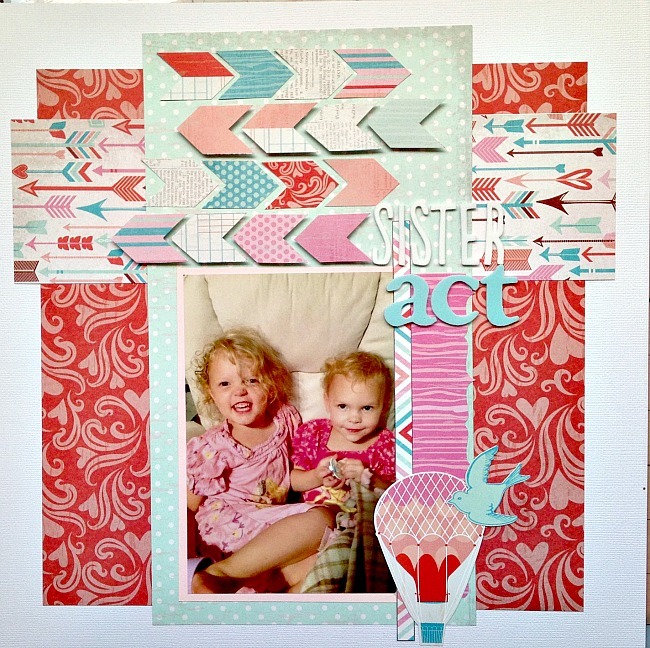 I thought 12X12 layouts would be harder because of the larger palette but not so much. I think I might even be addicted! I worked on it last night while boiling noodles and managing the kids. Best part is, they don't even know I am scrapbooking while on my computer. Thanks again to Digi Night Out! You can grab information on their upcoming events online at Digi Night Out or watch for The Original Scrapbook USA class schedule to come out in the next week or so. We will have some fantastic digital classes that will get you started in digital or will help you take your skills to the next level! Time is a flying by! Class registration will begin Wednesday February 13th at 10:00 am (Utah time). Adorable Envelope Album with S.E.I. 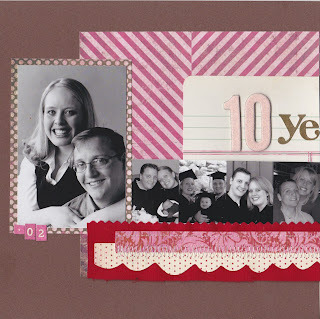 Designer Scrapbook Pages with S.E.I. I am a really big fan of utilizing the little border strips that many manufacturers add to the edge of their 12x12 sheets that show a preview of the pattern on the reverse side. They make great border accents, and I feel like I am getting more out of my product. There's my project- I hope you enjoyed it! Thanks so much for stopping by, and be sure to visit My Mind's Eye to pick up some of their amazing product for yourself! My Mind's Eye - I will take the layout and the cutie in the photo as well! My Mind's Eye - I am in love with this collection and the colors! As I would expect Doodlebug has some really fun new collections. play around with this collection for a teacher gift. Look What I am Finding at CHA + DCWV Giveaway! Many of our favorite Scrapbook and crafting vendors are in Anaheim right now for CHA (Craft and Hobby Association Convention). They are each showcasing their latest collections that will be hitting store shelves over the next few months. I have had SO much fun visiting many of them over the past few days and getting a first peek at the fun product that we have to look forward to! I have also had the opportunity to meet some of the newest companies in the scrapbook industry. I have left each of them with an invitation to come on out to Salt Lake City this March where they will find the greatest scrappers in the country! The first thing I noticed when I walked into the show was the colors - WOW- like a breath of fresh air! There is a nice mix of pastels and brights. All of the booths just made me think of sunshine! I was really impressed by many of the booths. Fancy Pants didn't disappoint either. I love their new paper collections as well as all the ideas I found in their booth. Fancy Pants. I want this hanging in my house when I get back! SO many fun things to see at CHA this year! I am just getting started! I have more photos and re-caps coming up this week! I hope you are enjoying these ideas as much as I am! DCWV is giving away 13 of their newest paper stacks (before they can even be purchased in the stores) to 3 lucky winners! CLICK and enter for your chance! Bring on 2013 + Monthly Challenge Winner!